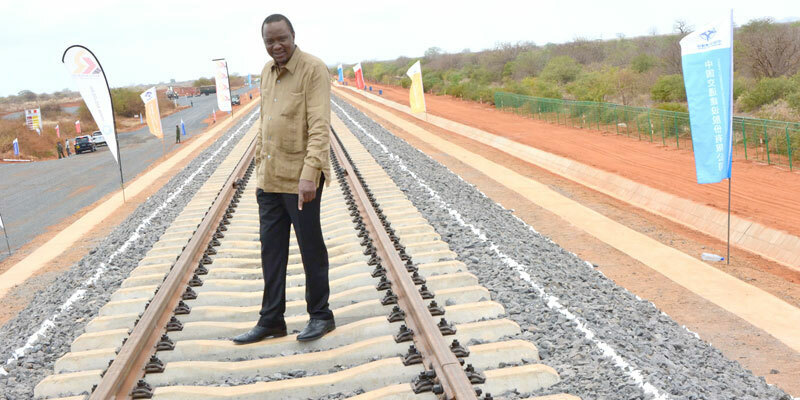 For some time now, unsettling developments have been floating around about the construction of the Standard Gauge Railway (SGR), in the three East African countries of Kenya, Tanzania and Uganda. In the interest to improve the livelihood of the peoples of the region, it is necessary to advance their transportation economies. But the way the three are going about it, is diametrically opposite to their vaunted democratic principles and aspirations. Recent media reports indicate that the SGR construction costs, from the quotations of the company contracted to carry out the task, show that for each kilometer of railway in Kenya, the cost is $2.5 million, while the same for Uganda is $7.3 million. Tanzania’s is reputed to be even lower than Kenya’s. In terms of rationality, this is cannot be upheld. It boils down to only one thing: the people in charge of the project are adding their own amounts of charges to the costs the company is quoting. In other words, the company is complicit in creaming off some money from the top of what is the actual cost of the work. In simple terms; this is corruption of an unbelievable level. Compare Kenya and Uganda. The difference in cost per kilometer is $4.8 million. That means that, for each kilometer, the person or persons who are in charge of, either approving or administrating the work, get a whooping nearly $ 5 million dollars more per kilometer, for doing the job they were employed to do, in the first instance. What is worse is that the country pays for this theft. 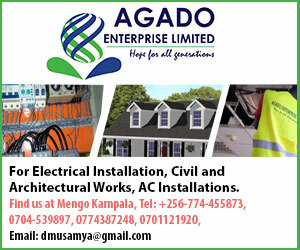 In Uganda’s case these charges are to be deferred by the oil that is yet to be drawn from the ground. It means that the rest of the citizens will not benefit; only the few who happen to be in those positions where they have to handle the issue of putting up the SGR. Such repayments will go on for lengths, even up to 50 years from now; meaning that future generations are going to foot the bills of the few thieves who are handling the issue now. One of such an issue, that has gone largely unnoticed, is the case of the identity cards. There were differences in this manner, too, in the three East African countries. Information has it that Uganda paid as much as probably five times the amount of money Kenya paid to do the same. This is moreover with Kenya having a population which is about one and half times more than Uganda’s, with Kenya moreover having a larger geographical area. Significantly, Tanzania, which has a population nearly double Uganda’s with a land mass which is nearly treble that of Uganda, paid considerably less than Uganda’s. These are some of the only few things that have come out in the open. Drastically, there must be many of such occurrences that are still hidden. In Uganda, all this is done with the hype that there are institutions put in place to fight corruption. Unless, of course one is talking about the case of what has come to be known as the Pension Thieves. Even here, unscrupulous court officials involved with such cases will go to all lengths to spring these people from the reaches of the law. There is now talk that these people’s assets, bought from the stolen proceeds of the pension beneficiaries, are to be seized and sold off to recover the money. Without much talk, these need to be seen to be done! Presently, there is mention of only three of such former officials involved. There is uncustomary quite about a fourth official who was central in the pension heist. For reasons of principle and aptitude, the law should ferret out this fellow, without having undue protection from whichever quarter. This country should, at least, have one thing it believes in!